Our gift card is packaged beautifully and ready to go under the tree. They make great stocking stuffer, gifts for teachers or businesses. Our gift card is packaged beautifully and ready to go under the tree. They make great stocking stuffer, gifts for teachers or businesses. Essentially you will be giving someone the gift of putting oysters in the bay in their name and help seed the bay. Your gift is a cleaner and healthier bay to the person receiving it and all “who live work and play” on our bay. In addition, the recipient of your gift will be able to be a part of one of our oyster farming events in the summer. 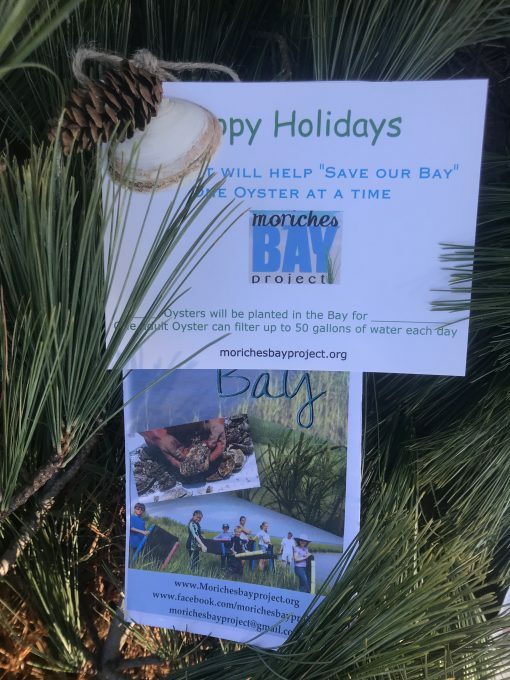 They will learn from scientists the importance of oyster farming, and how their gift will help improve the quality of fish and plant life under the sea.